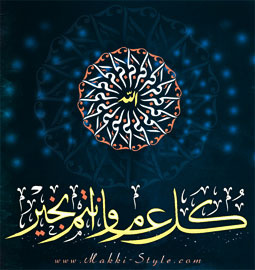 Click here for Suhur, Iftar, Fajr, Tarawih, and daily prayer times. As we enter the last 10 days of Ramadan, we are reminded of Laylat Al-Qadr which is better than a thousand months based on Sura 97 of the Holy Quran. To celebrate this amazing night, we are encouraged to spend the night in I'tikaf, in prayers and in recitation of Quran. Please come to Masjid Al-Momineen to spend some or all of these last 10 nights of Ramadan with us in worship. According to moonsighting.com, there is a good chance of sighting the moon in South Africa and South America on September, 19. Therefore, Eid will most likely be celebrated in North America on Sunday, September 20, inSha'Allah. You may check the Masjid website starting on September 19 for up to date information with respect to the exact day of Eid. We plan, inSha'Allah, to complete the Tarawih recitation of the Holy Quran on Frday, September 18, or the night of the 29th day of Ramadan. The Khatm will be preceeded by a fundraiser starting at 9pm. We encourage you to come prepared and take advantage of the special favors awaiting those who give in charity during this blessed month. This year, Sadaqa-tul-Fitr is set at $7.00 per family member - young or old alike. Only according to Hanafi Fiqh, the amount is set at $3.50. So, if you and your spouse have two children, you are to pay 14 Dollars ($3.50 x 4 people) if you follow the Hanafi madhab, or $24 ($7.00 x 4) otherwise. You have to distribute the Zakat-ul-Fitr money before Eid prayer. The idea is that the poor too should have a chance to participate in Eid celebrations along with those of better fortunes. Clarkston hosts a large number of international Muslim refugees and Masjid Al-Momineen is in the best position to properly distribute your Fitr Sadaqa to the local needy. You can either visit the Masjid to pay your family's Sadaqa dues before Eid prayer on Sunday - by cash of course - or using major credit/debit cards right now by clicking on the icon below.